An Amanuensis is a person employed to write what another dictates or to copy what has been written by another. 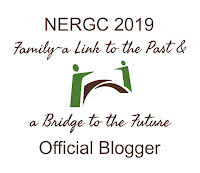 Not only do the documents contain genealogical information, the words breathe life into kin – some we never met – others we see a time in their life before we knew them. Illinois, Cook County Deaths, 1878-1922 (index and images, FamilySearch, https://www.familysearch.org, from Illinois Department of Public Health, Division of Vital Records, Springfield, Illinois, accessed May 2011), www.familysearch.org, James M. Adsit, died 4 Sep 1894. Citing Death Records, FHL microfilm 1,030,999. 13. Name of Undertaker: C. H. Jordan + Co.
14. Dated at Chicago Sept 4th 1894. (Signature:) Frank Billings M.D. I like to confirm the signature by looking up the physician's name in the city directory. See his wife's death certificate here. See a brief biography of James M. Adsit, First Chicago Banker, published in 1899 here. Elizabeth, I read this with interest because my gg grandfather died in Evanston, Cook Co. in 1894. I have looked and looked, and requested twice for his death certificate. Not to be found. With your post, I tried again, still nothing. He was probably one of the more well-known people in that town and Chicago...and it's so irritating not to have it! Glad you've got yours. 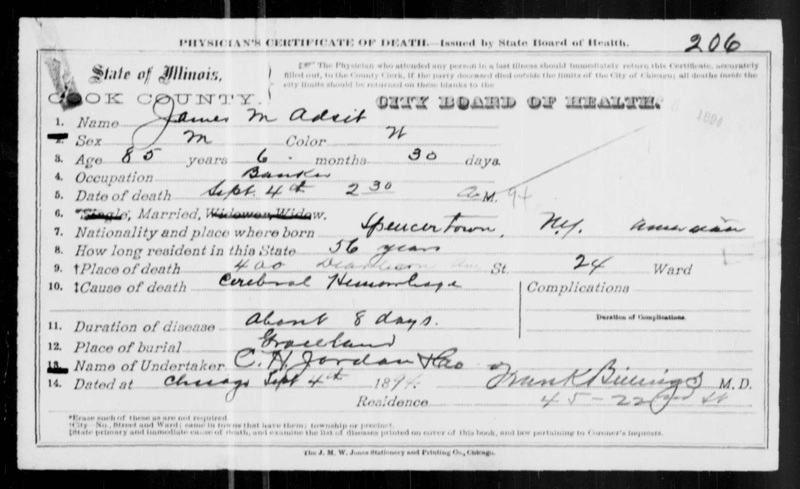 How unusual not to be able to find an 1894 death certificate in Cook County if you're sure he died there. Could he have been indexed under a different name? 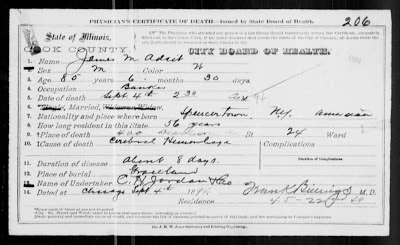 See the link to James M. Adsit's wife's death certificate to see how she was indexed. 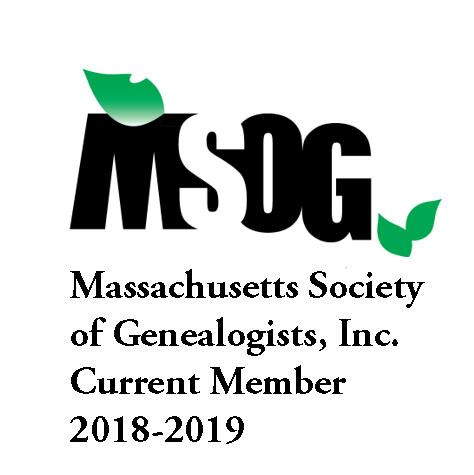 I can't remember how I found her death certificate with the misreading of her name in the index.